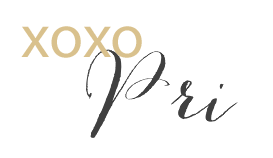 It's been quiet on the subscription front here on Paint The Town Chic! For one reason or another, all of my June subscription boxes arrived later in the month! Glossybox kindly sent me their June box to try out and after last month's box (see here for review), I was excited to see what was inside the pretty red packaging. The June box was inspired by the Tony Awards and contained a carefully curated selection of products to help create a star-worthy look! So while you may have already seen this revealed, I still wanted to share some thoughts on the products I received. No glamorous look is complete without the perfect lippy. LA Splash Cosmetics created some special shades just for Glossybox and Sugar Rush was one of them. Sugar Rush is a deep coral that was so flattering on my tan skin tone. I'm glad I received this shade instead of the red because it's perfect for summer. I found the formula to be lush and the product was so easy to apply. There was great color payout, and I found I didn't have to reapply multiple times. The product was not drying (very important to me when it comes to selecting lip products!) and while it's not the most long lasting lipstick out there, it held on for a long time. Even though I currently have so many mascara samples, mascara is one of my favorite beauty products to try. Especially when it's by a brand I've never heard of before. Icona Milano is an Italian brand, so I'm glad Glossybox added it to the this month's box. This will be my next mascara to open and I'll be sharing some thoughts on Instagram so make sure you're following Paint The Town Chic there! Now this is one product that I'm thankful to not have to use but will keep it on hand in case of emergencies. According to Lue (another new-to-me brand!) this is Step 3 of a 3 part skincare system to help maintain clear and flawless skin! Apply this immediately if you feel a blemish coming on. Clear can be used with the other products in the line, mixed with other lines, or simply on its own. Reviews seem to be great so I have high hopes! It seems that Vichy's Thermal Spa Water is a staple in the subscription box world. I like the idea of it, but I have to admit I've never used my other sample. However, since summer really just kicked in and triple digit weather is coming, I'm thinking this will finally get some use! Aside from just being a great pick-me-up, this is great way to refresh makeup throughout the day! I'm not normally a fan of bar soaps but had to give this a chance when I saw charcoal was an ingredient! Have I mentioned how much I LOVE skincare products containing charcoal? When first opened, this pretty little bar has a slight hint of vanilla. The easiest way to use this is to lather the soap on your hands and then cleanse your face. I was surprised by the amount of foam the soap created and how moisturized my face felt. Of course I still applied face creme, but this was definitely not drying like some of the other cleansers I've used! Immediately after using I could see a reduction of blackheads and my face just felt a lot cleaner. I'm looking forward to continue using it and hopefully seeing more results! Hairspray is not a hair product that I generally use. That being said, just today I desperately needed something to tame the flyaways that never seem to cooperate. A spray or two got the job done. This perfect sized sample will be definitely be joining my work bag for emergencies! The June Glossybox included a bonus sample of the Dark Oil, but they also sent me a full sized version. Clearly they knew how much I would like this product! The first thing I noticed was the scent! Sandalwood, cedarwood and argan oil created a perfect blend that was light and slightly floral. I put a few drops and ran it through my hair midway to the roots (I used it on dry hair but I imagine it would work just as well on damp hair.) My hair didn't feel greasy at all and the oil helped combat frizz. You can also use the Dark Oil as an intensive hair mask or add a few drops to your conditioner! This was by far my favorite item in the June box! Check out Insta to see the results after using Dark Oil! June was another great month for Glossybox. If you haven't tried out this subscription yet, I highly recommend giving it a chance! *Glossybox sent me a complimentary June box to review, but all opinions shared above are my own! Thanks for supporting the brands that make this blog possible!